Where to find free information – you know “free information” is my jam – about how to do your DIY project in your home. IDA - Does My Purchase Qualify? We often get questions about what exactly counts as “qualified purchases”. To help clarify, here is a little bit more about the program’s guidelines. Individual Development Accounts (IDA) are back for 2019! IDAs are savings accounts that the state of Indiana can match for income-qualified individuals towards the purchase of assets. Fun Ways to Teach Your Kids About Saving – It’ll Make You a Better Saver Too! Teaching your kids how to save money is one of the most valuable life lessons you can teach – but how do we teach them to save before they have an income? Our last blog gave a high-level overview of what credit is and how it impacts our lives. In today’s post, we will help you learn some “Do’s and Don’ts” to a good credit score. Credit scores are one of those things that can really impact your life. Beyond the obvious applications such as applying for a loan, it is common for landlords and even employers to request to see your credit history. The Promise Zone and HOPE of Evansville in partnership with Fifth Third Bank, Old National Bank, Junior Achievement, and United Way are collaborating to bring free financial education classes to Evansville. I keep seeing this advertisement that says, “One easy little-known trick to pay off your mortgage 15 years sooner,” and its just clickbait. The truth is, the only way to pay your mortgage off sooner is to pay more each month. But what difference can it make? We have the answers. 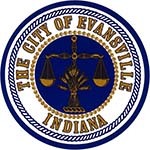 HOPE of Evansville’s homebuyer assistance program offers down payment assistance match to qualified borrowers who wish to purchase a home of their choice within the Evansville city limits. Do You Meet the Requirements to Turn $1,000 into $5,000 for the Purchase of a New Home in Indiana? Have $1,000? You could own a new home with that. Ready to buy a home? We have Individual Development Accounts that can help you achieve the American dream. Melinda lost her husband suddenly and the threat of foreclosure came quick. Along with the loss of her husband came the sudden loss in 60% of their household income, and she had two children to care for. HOPE was able to save their home, here’s how. When looking to purchase your first home, things may seem overwhelming. You probably have a lot of questions. We’re reaching out and inviting you in. Come to Get Right with My Mortgage on December 15 to see if you qualify for assistance. We want to bring you current on your mortgage before the end of 2018. Think we can do it? The 4-to-1 match savings plan for the purchase of an asset is back. What is on your list? Dr. Bill Thomas sparked the interest of HOPE when we heard of his innovative partnership with USI changing aging and housing in the community. This pilot project, MAGIC, creates a Multi-Ability, Multi-Generational, Inclusive Community(MAGIC) housing model for both students and older adults.